Despite progress in recent years, there is growing evidence that OECD countries are not on track to reach some of their key environmental goals. This report examines the strategies and instruments that governments use to ensure compliance with pollution prevention and control regulations, particularly in the industrial sector. It compares the compliance assurance systems of six OECD countries – Finland, France, Japan, the Netherlands, the United Kingdom and the United States – as well as those of China and Russia. The report provides policy makers, environmental regulators, and other stakeholders with a comprehensive analysis of the design, management aspects, and the main elements of government compliance and enforcement programmes. 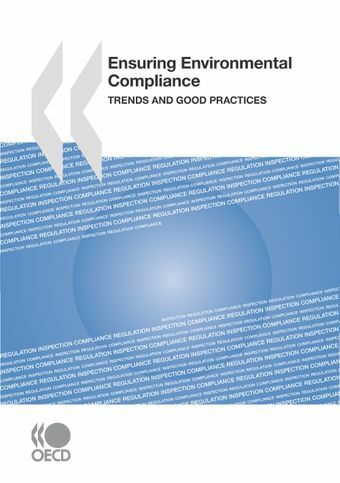 Focusing on compliance promotion, compliance monitoring, and non-compliance response, it identifies and compares good practices, sets them in context of different countries’ regulatory cultures and highlights the key international trends.